The GreenBlock is a durable, eco-friendly revolution in materials handling. GreenBlock is completely modular & works with all wood pallets, big or small. Made from high-impact co-polymer polypropylene that is both recycled and recyclable. 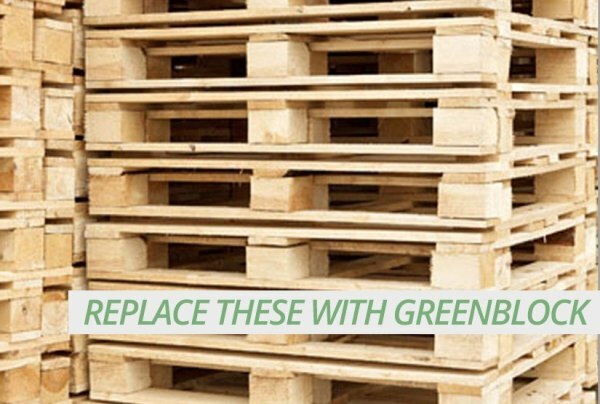 GreenBlock Pallets not only offers greater strength over traditional all-wood pallets, it can reduce the amount of wood used in a standard GMA pallet by more than 50%. This light-weight solution addresses deforestation and wood pallet waste in landfills. An individual GreenBlock can support more than 1,500 lbs, and it weighs less than 1/5 of a pound. 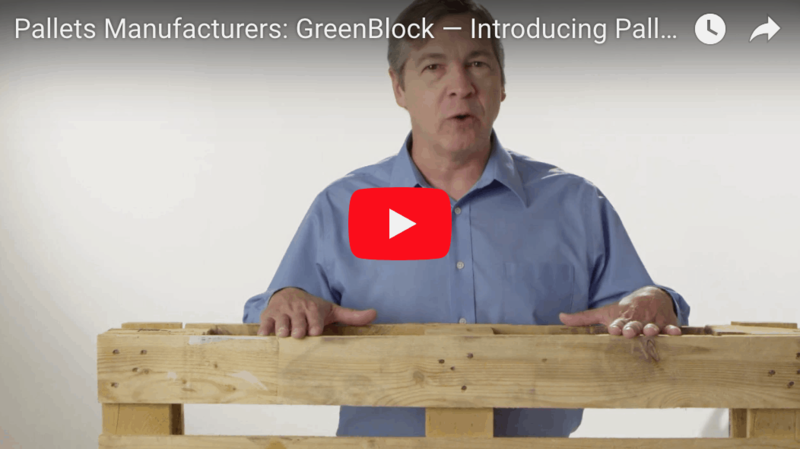 Combining nine GreenBlocks into one pallet, you can support 13,500 lbs of material with less than 2 lbs of GreenBlock support. This tremendous load bearing capacity is made possible by the octagonal structure that distributes stress throughout the GreenBlock, maximizing strength. Furthermore, the GreenBlock is designed to facilitate rapid assembly and ease of use with a double flange on the top and bottom of the leg. This facilitates attachment to top and bottom decking using pneumatic staples or nails, while minimizing assembly time. 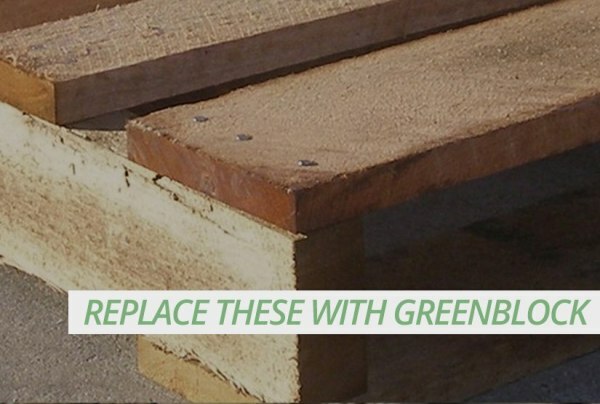 With the GreenBlock, not only will you save trees, you’ll save time and you’ll save money. Pallets LLC is a pallet manufacturers company you can count on. Our new Pallet is less expensive than the traditional GMA Pallet. GreenBlock is a durable, eco-friendly revolution in materials handling. Made from high-impact co-polymer polypropylene that is both recycled and recyclable. 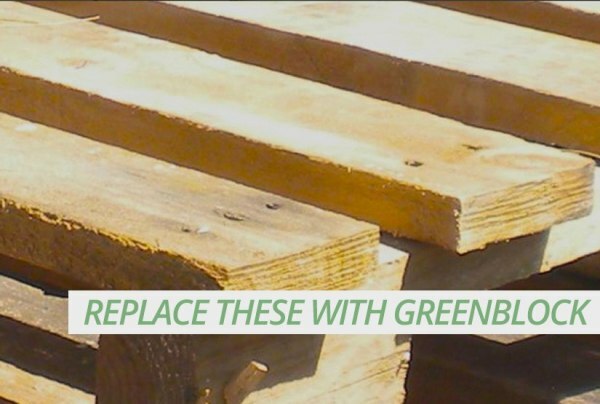 GreenBlock not only offers greater strength over traditional all-wood pallets, it can reduce the amount of wood used in a standard GMA pallet by more than 50%. This light-weight and affordable solution reduces pallet-based deforestation and the mounting pallet waste in landfills. Conserving energy while you save money is a no-brainer. The wood pallet is the workhorse of the U.S. supply chain. Most products manufactured in the U.S. are transported on top of a pallet. Every year approximately two billion pallets are circulated in the United States. The Grocery Manufacturers Association (GMA) pallet accounts for more than 30 percent of this usage and represents more than 280 million new pallets annually. The GMA pallet is 48 inches by 40 inches. It is wood intensive, expensive, and heavy. For the past 70 years, wood has been the preferred material choice of pallet suppliers. Even today, more than 90% of all the pallets in use are made of wood. Widespread availability and cheap production costs are the primary reasons. Raw material costs usually run above 50% for many pallet manufacturers. Until now, the GMA pallet has changed very little over the past seven decades. 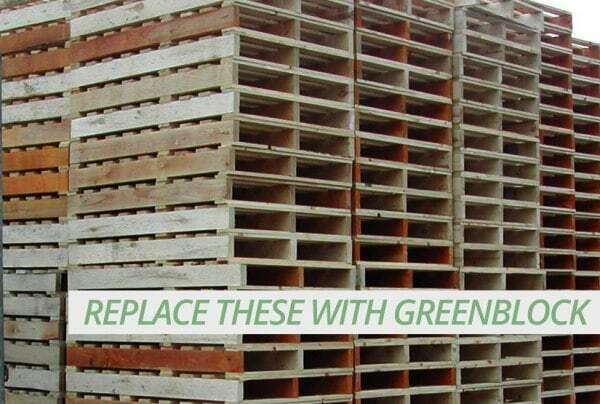 If you compare Pallets LLC’s GreenBlock Pallet to the standard GMA pallet the benefits are clear and significant. 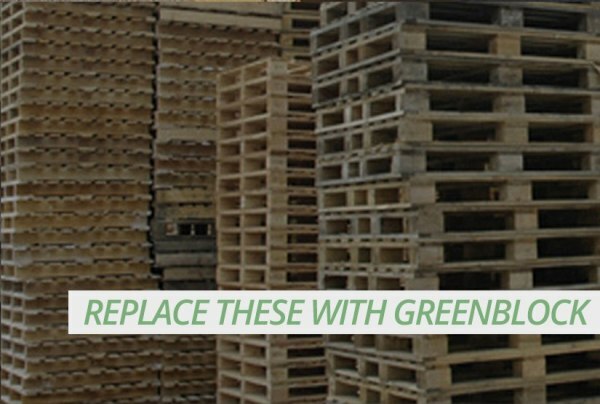 GreenBlock will reduce the amount of wood used in a standard GMA pallet by over 50%. 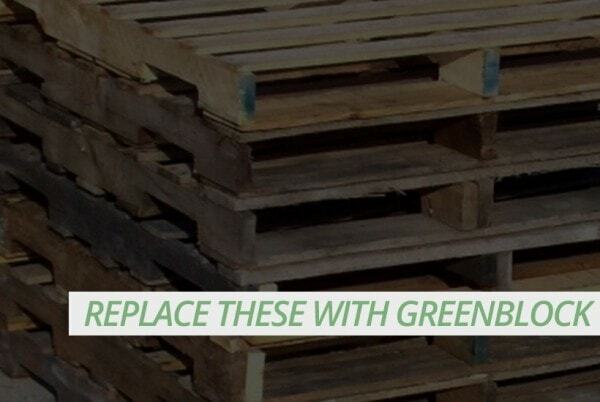 GreenBlock will decrease the weight of a standard GMA pallet by over 50%. And GreenBlock Pallets will enable the pallet manufacturer to ship more than twice as many pallets per truckload.